Wednesday is a day to make wordless posts. I want to adopt this tradition and post infographics and images on Wednesdays. 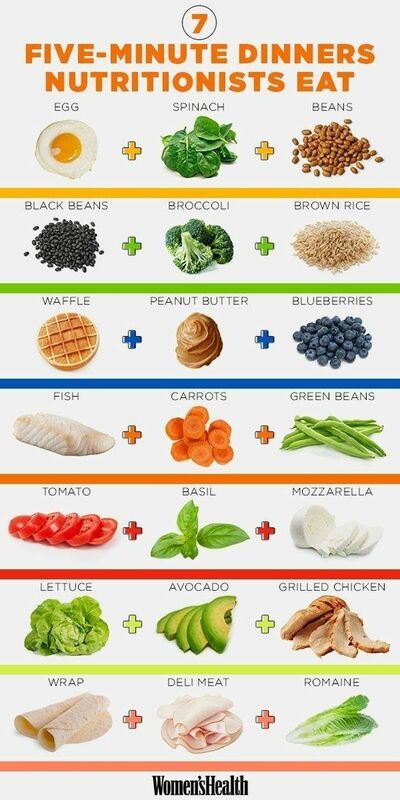 And to start us off, here is an infographic on simple and healthy dinner ideas from Women’s Health. Who doesn’t love food they can prepare in just five minutes!